As airline baggage fees continue to rise, it's worth investing in the lightest weight luggage to maximize your luggage allowance. It can also be difficult to lug heavy and bulky suitcases through the airport and your intended destination, making light luggage a wise choice. When searching for the lightest weight luggage, consider some of these brands. Some reviewers note that the bag withstood being checked, despite being more of a carry-on sized bag. Sites like Amazon have some colors as low as about $40, while the retail price is typically about $64. If you're looking for bigger cases, the it Los Angeles 28.9 inch is only 4.85 lbs and measures 29.3 x 17.7 x 10.2 inches. 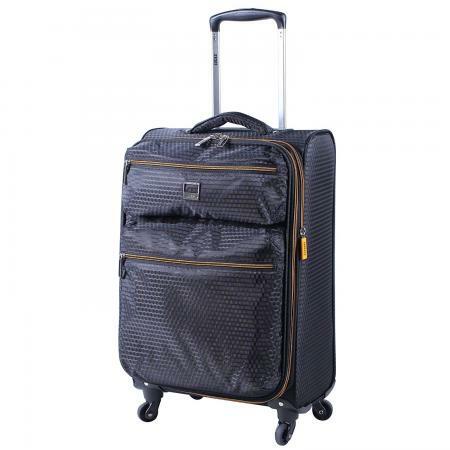 Like the carry-on suitcase, it only has two wheels and is not the popular spinner that many people prefer. At around $60, it's a great bargain compared to more expensive cases that weigh more. Amazon reviewers love this brand in general for their lightweight cases and durability, standing up to frequent travel. Sites like Luggage Pros have the black bag for about $60 instead of the $200 retail price. Reviewers love its weight and how much it fits. The only downside is possible durability in the event it needs to be checked. 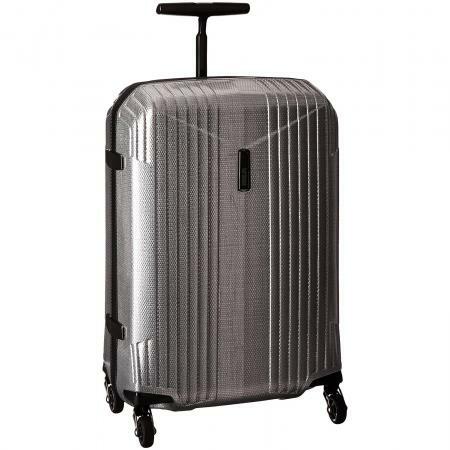 If you're looking for a full set of luggage, Hartmann has two other sizes in the 7R series, the Medium Journey Spinner, which is 27.2 x 19.3 x 11 inches (about $500 - $650) and the Long Journey Spinner, which is 29.5 x 19.6 x 12.2 inches (about $850). Hartmann was founded in 1877 and is known for its high-quality luggage and leather goods. Not only are their products durable and lightweight, they are very stylish. The 28 inch spinner weighs 6.68 lbs and is about $440 while the 30 inch spinner is 7.061 lbs and $480. Most airlines have what they refer to as a baggage allowance, which tells you how large of a bag you can check. Any checked luggage that exceeds the size and weight limits of the baggage allowance is deemed as oversized/overweight and an additional fee is charged. 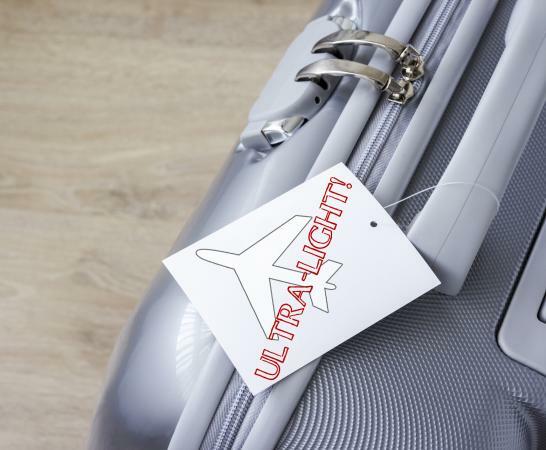 Many people wish to avoid this extra charge, so they want to find the lightest weight luggage they can for airline travel. For most major airlines, the baggage weight allowance is below 50 pounds, and in some cases, you will find you have to pay for your first checked bag, unless you have frequent flyer elite status with one of the major airline programs. Look at reviews, too, to ensure you are getting the best lightweight luggage. Sites like Smarter Travel provide thorough online reviews, which can help aid in your decision-making process to ensure you wind up with the lightest weight luggage that best serves your immediate travel needs. It's also important you look at what your travel needs are. 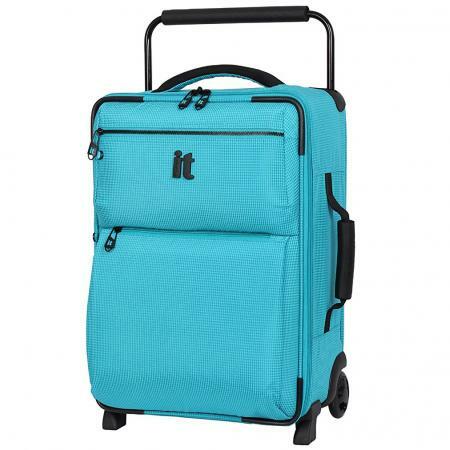 Are you an infrequent traveler in need of a lightweight large suitcase that you may only use once a year or less? Or, are you the regular business traveler looking for the lightest weight carry-on that will help you breeze through the boarding process multiple times a week? Once you determine your travel needs, the process will become easier. 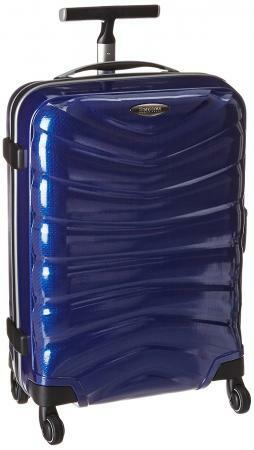 Most luggage manufacturers have come to realize that finding lightweight luggage is extremely important to travelers. Not only does lighter luggage help to mitigate the restrictiveness of baggage allowances, but it also makes it easier for those who don't want to check their luggage to haul it through an airport and onto a plane. The trick for manufacturers striving to create lighter weight luggage, however, is to also maintain durability. While previous generations of luggage used to be heavier in order to reinforce the durability of the luggage, manufacturers have now created a new generation of travel bags made from new lightweight, rugged materials. When you browse some of today's popular brands, you'll find durable, light luggage perfect for your travel needs.